German-made Fischer weather station with stainless steel housing for indoor and outdoor use. Diameter 160mm. 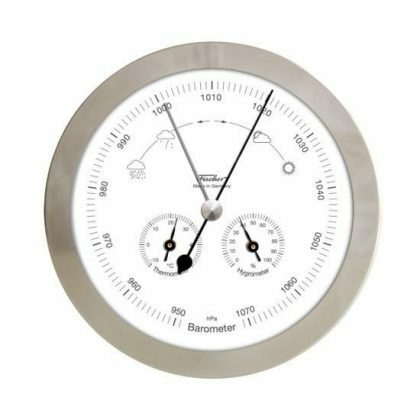 Barometer combined with thermometer and hygrometer.